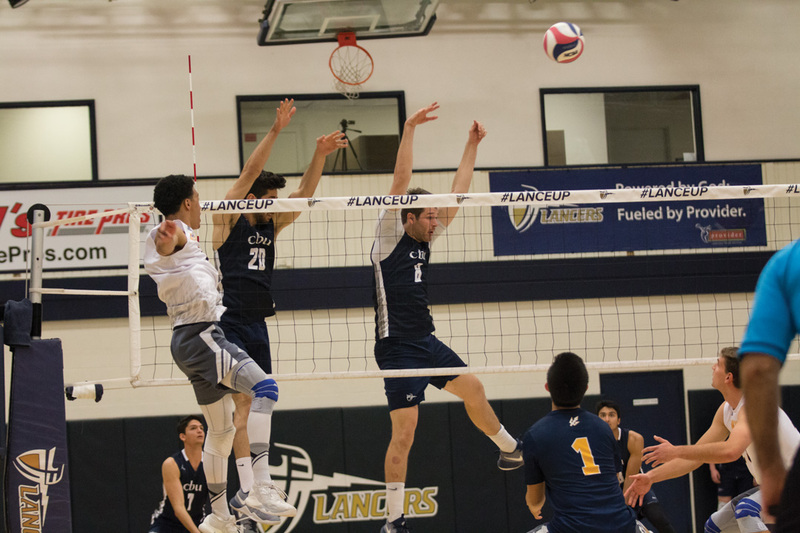 Finishing its season with eight wins and 21 losses, the California Baptist University men’s volleyball team is now focusing on improving the team and having a successful season next spring. Jacob Terabetz, sophomore kinesiology major and setter, said despite the tough competition this season, the team always reminded one another they had nothing to lose. Robert Hadobas, senior marketing major and libero, acknowledged the difficulties the season brought. “This season was tough, but through the adversity, the team became closer, which helped us make a late season run of winning several matches in a row,” Hadobas said. The team is beginning to make adjustments to the overall dynamic as nine new incoming freshman will join the team next season. Derek Schmitt, head coach, said the priority next fall is to teach freshmen what it takes to be a collegiate volleyball player. Schmitt said although it is a large group to train, the goal is to build power and enhance speed. The senior student-athletes have provided advice for the incoming freshmen in order to help with the transition into college. Rohit Paul, junior marketing major and outside hitter, said he believes the returning athletes can develop a competitive and dangerous team as long as they continue gaining experience and continue working with the freshmen. Schmitt said the team builds motivation by playing each game to the best of the athlete’s abilities. Teams like University of California, Los Angeles, University of Southern California and University of California, Santa Barbara, bring a competitive edge and challenges the team to play harder. Schmitt said he owes a lot of credit to his coaching staff, Jason Quan, strength and conditioning coach, and Michele Vasquez, athletic trainer, as they play a key role in the Lancers’ success. Schmitt said he is proud of how the team competed in a tough conference like the Mountain Pacific Sports Federation.